Coles carries a complete selection of laminate flooring options, available in many different styles, textures, colors, and product looks. To make a room appear larger, choose a shade that contrasts with your cabinetry & wall color- dark floors with light walls, light floors with dark walls, etc.- this tonal contrast will create the illusion of expanse. 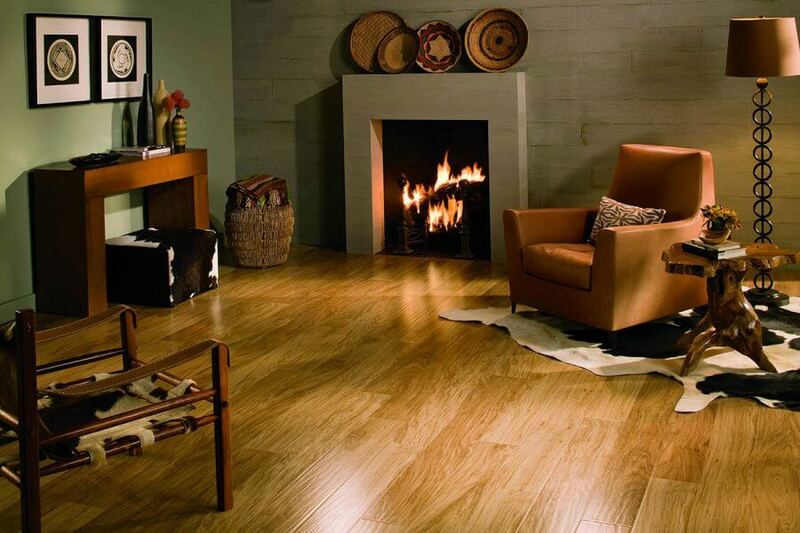 Smooth, sleek looks have a modern feel, while more textured looks give a rustic, traditional impression. Since it shares the same design principles as real hardwood flooring, many of the same options and rules apply, making it easier than ever to use laminate fashionably in your home. Your laminate flooring can easily translate from a natural wood design inspiration- whether you are looking for a contemporary, high-fashion look, an exotic appeal, a casual playroom environment, or a timeless traditional design, there is an appropriate laminate choice. Once a scarce design option, laminate stone flooring collections are now available in great quantity. Offered in many different stone tile fashions, this option truly shows the versatility of laminate floors. Tiles lock together seamlessly to enhance the look of natural-laid stone and grout.